Those who walk through Potters Fields Park near Tower Bridge in the mornings or at lunchtime may have seen the lawn of teddy bears yesterday. 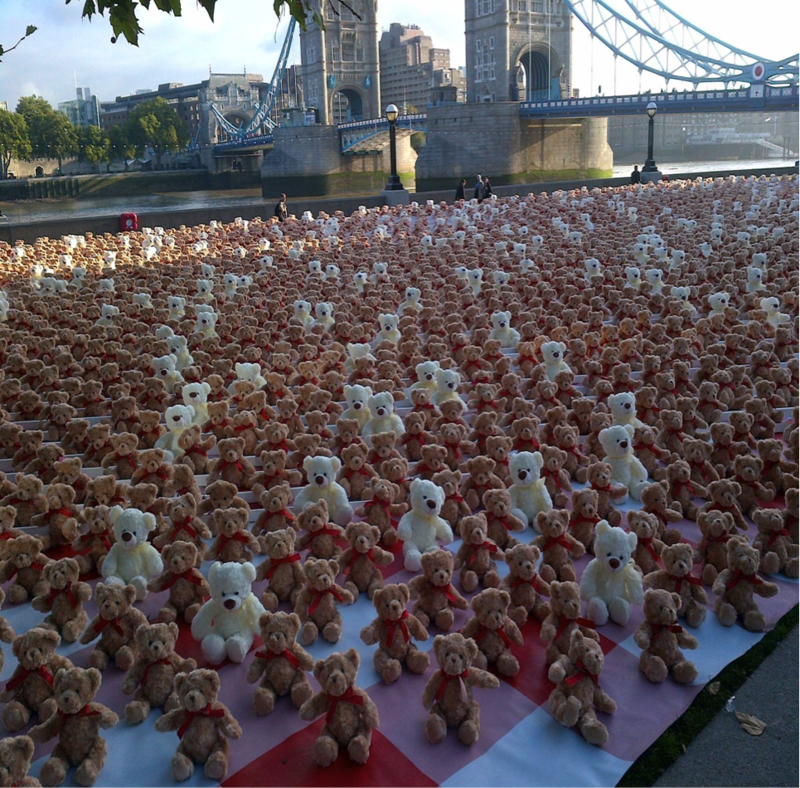 There were 3,400 teddy bears to represent the 3,400 people in the UK who contract meningitis each year. This was part of a global project called Protecting Our Tomorrows, launched by the photographer Anne Geddes to raise awareness of bacterial meningitis and septicaemia – the infectious disease causing the most deaths of children under five years old in the UK each year. You can read more about it (and see another photo!) here. This entry was posted in Stat of the day and tagged Anne Geddes, meningitis, Protecting Our Tomorrows, septicaemia by disabilitysmart. Bookmark the permalink.